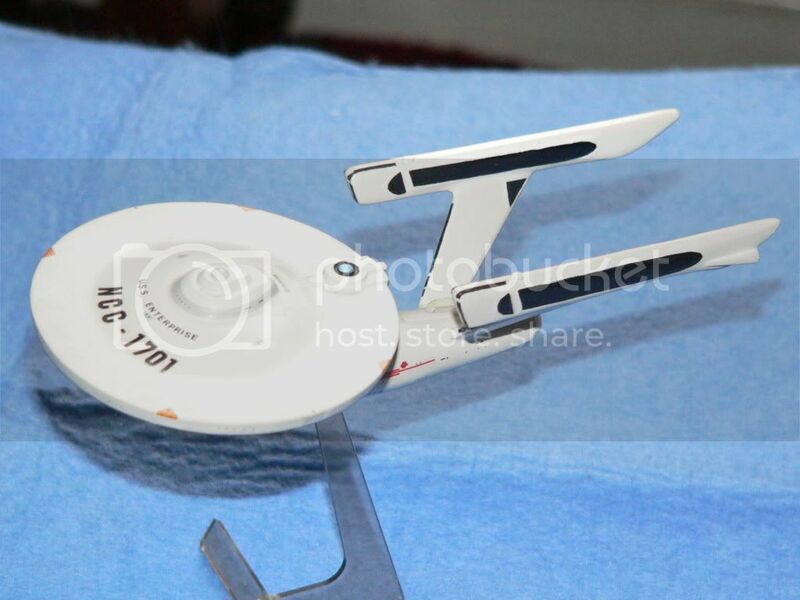 A lot of work went into modifying the TOS Enterprise to the refit. 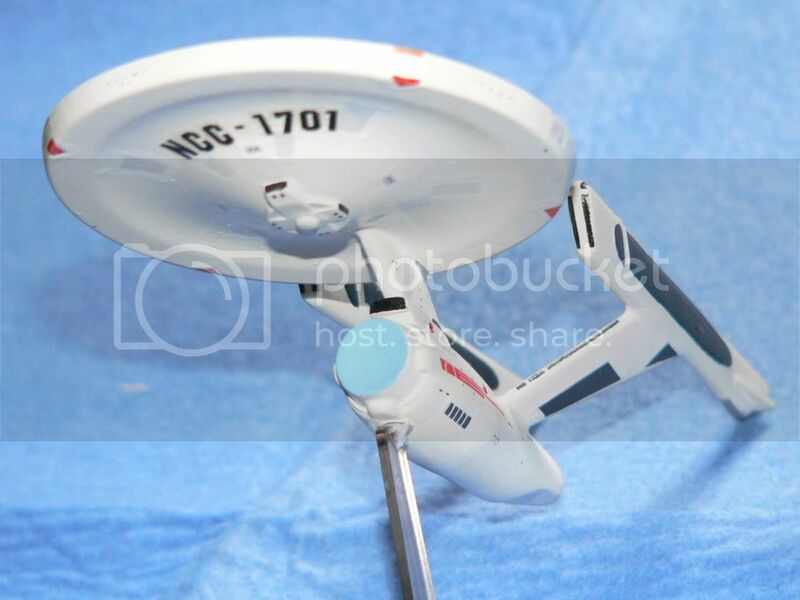 Worst job was scratchbuilding the nacelles and getting them to look the same. I used a template and laminated sheets of styrene before sanding to shape. The K'Tinga was a bit easier. Slimmed down the nacelles, raised the bridge tower, added impulse exhausts and rear photo torpedo tube. Masked off the hull plates and painted rather than cutting them from thin sheet styrene. By no means super detailed and accurate but I was happy with the results at the time. As for the Romulan Bird of Prey? I suspect it made its way into the spares box. I had considered what an upgraded Romulan would look like in the TMP setting - maybe improve or enlarge the nacelles, extra weapons etc - but never went anywhere with it. So these were made from the old 1/1400 scale Three Ship Set? You did a nice job on these considering the limited amount of reference material available at the time. The refit nacelles were made from scratch? Impressive. 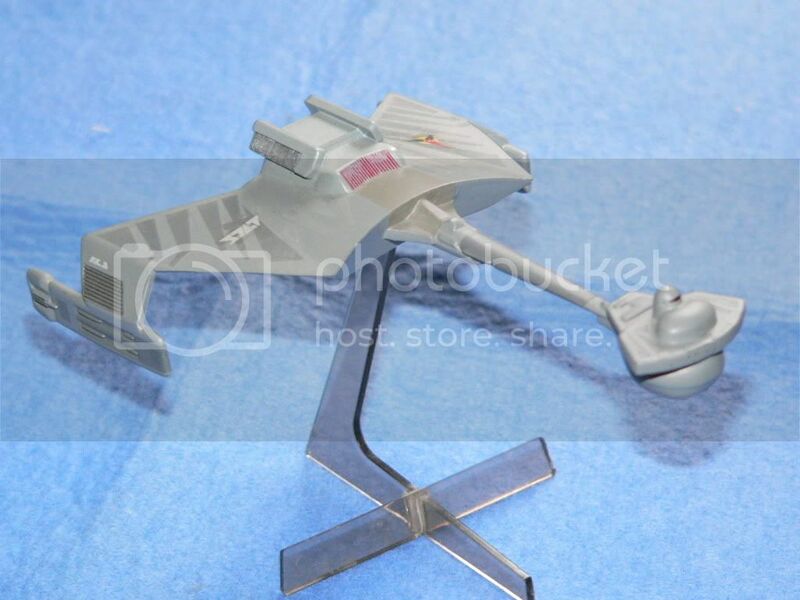 trekriffic wrote: So these were made from the old 1/1400 scale Three Ship Set? You did a nice job on these considering the limited amount of reference material available at the time. The refit nacelles were made from scratch? Impressive. It was a 1/1600 scale kit from AMT/ERTL. Apologies, I hadn't noted the reference to 1/1400. Thanks to Dr Corsa for the update. I couldn't recall what the scale of the original 3 Ship set was. A very good job in my opinion!